It’s a fresh new year, and there’s lots of DIY to do. Some things will never change. Running toilets need to be fixed, walls need to be painted and you have to take the squeak out of that step. Other projects are more like electives, like redecorating or upgrading your kitchen, bath or mechanicals. Whatever improvements you plan (or don’t plan) for, there are new techniques and tools and materials that can influence your decisions. There are also growing design styles to look out for and take inspiration from. So, what’s new (or old but coming back) in 2015? This qualifies as old is new again. Expect to see more people renovating rather than moving. The housing bubble was all about houses as money making investments, and while buying a home is still certainly an investment, the focus now is more long term. People are staying put and upgrading and expanding. More homes are also being adapted for multigenerational families. This concept is more in-depth than simply “handicapped accessible.” Universal design means ease of use is built in to the function of a home so anyone can navigate the environment and the space can adapt as needs change and residents age. Of course some people need specific adaptations depending on their particular disabilities, but things like wider doors and hallways, linear drains and wet-room bathrooms, and multi-level countertops are solutions that fit seamlessly into a home. Once they were clunky, plug-in timers that could tell your lamps or sprinklers when to turn on and off. Now they’ve evolved into integrated systems that can control your lights and sprinklers, HVAC, entertainment system, home security, leak detection and lock and unlock your doors. And that’s not a comprehensive list. The technology is still pretty young and easy to live without, but it’s reached the point where it’s practical to get in on the ground floor, in anticipation of the day when your thermostat will tell your fridge it’s time to make more ice because the weather’s heating up. The price on these keeps coming down, and from strips to ropes to bulbs there are options for all kinds of lighting situations. They come dimmable and multicolored, last a ridiculously long time and are super cheap to run. There are also all kinds of simple conversion methods to get LEDs into your pot lights and other places. Design wise, they take some getting used to in fixtures where the bulb is exposed, but get used to it. There’s really no other reason not to be using these anymore. Following up on the low cost to run your new LED bulbs, that kind of thought is being incorporated into the renovations of the coming year. Once it was a special effort to “think green” when doing a construction project. Now options like tube skylights, whole house fans, solar water heating and power, water wise landscaping and high efficiency HVAC systems are easy to source, if not standard operating procedure. 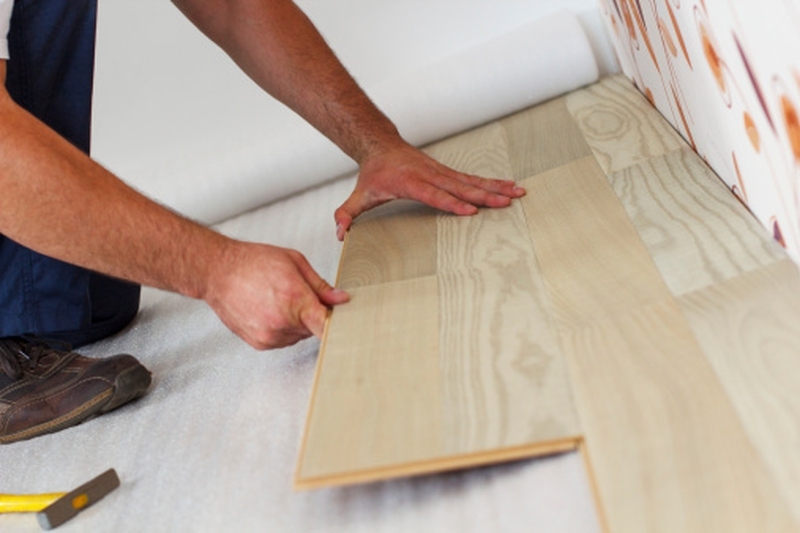 When you’re considering your next DIY, consider your footprint too. Another thing that’s been around for a while but is now becoming mainstream is health conscious materials and appliances. Low VOC paints and water and air filters are already the norm. Touch free faucets are becoming more and more prevalent, and ultraviolet water purification integrated into fixtures is the next generation. Smoke alarms have been joined by carbon monoxide detectors and indoor air quality is being targeted by more and more advanced vacuums, humidifiers and dehumidifiers. You can pretty well identify when a kitchen was done by what the countertop is made of. Recently, granite was the thing, and then concrete took over as cutting edge. Now look for quartz composite to supplant them both. The difference is this material is not only maintenance free, it’s also versatile and can be made in just about any color or pattern. This should make it “timeless,” and in 20 years it shouldn’t stand out as dated unless you pick a color that’s super trendy. Engineered quartz can also go in as flooring or walls in a wet space. Speaking of timeless, some design elements are the exact opposite of that. Instead they’re all about the now. Look for designs and art going directly on the walls, rather than being hung on them. Peel and stick appliques have evolved from dorm room decor to grown-up statement pieces. Another element that has grown up is the blackboard wall. Instead of the kids’ doodles or practical lists, words are going on the walls as art. Poems, quotations, affirmations or power words literally make a statement in the room. Minimalist Modern and Mid-Century Modern are phrases you’re going to hear a lot. The clean lines and stark contrasts are attractive and easy to live with. But unlike the first go-round of these styles, look for them to be paired with a rococo mirror or the decorated walls described above. Rustic as an overall design style is not the thing, but a modern living room with one rustic piece breaking up the lines is. We’re not talking about wood pallet + cinderblocks = coffee table. Instead, a 40 year old steel truck dolly becomes the undercarriage of a glass tabletop or 100 year old hay hooks become a chandelier. And they don’t have to be antiques. Used skateboard decks car being transformed into eye catching seating. Utilitarian items with character are jumping into that “accent piece” space both for their aesthetic value and as a statement about our disposable society – reduce, reuse, upcycle. Obviously we’re not all going to move into tiny houses, but what started as a movement out on the fringes has captured the imagination of designers and the public at large. The cultural statement about consumption is similar to the upcycling movement, and the strategies for saving space and reducing our impact can be incorporated into conventional homes and especially into apartments. Look out for murphy beds, fold away shelves and convertible desks.